Check back here for posts updated weekly! 2. Press out of your shoulders to protect your shoulder joints! 4. Pelvis should be tucked to help activate core and protect lower back. You are better off having your hips a little higher than below shoulders. 5. Play with range of motion as you begin. If new, don't go as deep or take it to your knees. I will be doing a post shortly on great modifications you can take! 4. You don't have to get to 90 degrees if you have knee issues or are new to fitness. Start with a smaller range of motion and work your way up to a deeper squat! An amazing meal that brings people together with minimal clean up! This meal takes about 30 minutes to make with 10 minutes of prep. Not to mention you aren't messing with stuff as you have guests. It's a one pot wonder meal! 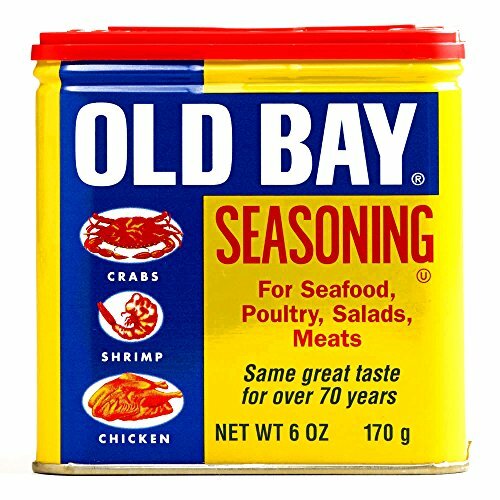 Old Bay seasoning is what offers all the delicious flavor. For your Brit's you will likely need to purchase off of Amazon. This is the one I got. Add water, beer, Old Bay seasoning, and salt to large pot and bring to a boil. Toss in potatoes and onion and boil for 6 min. Add corn for 5 min. Add Shrimp for another 5 min. (once shrimp is pink and starting to curl, it's done) Don't over cook! Remove from heat and drain liquid. 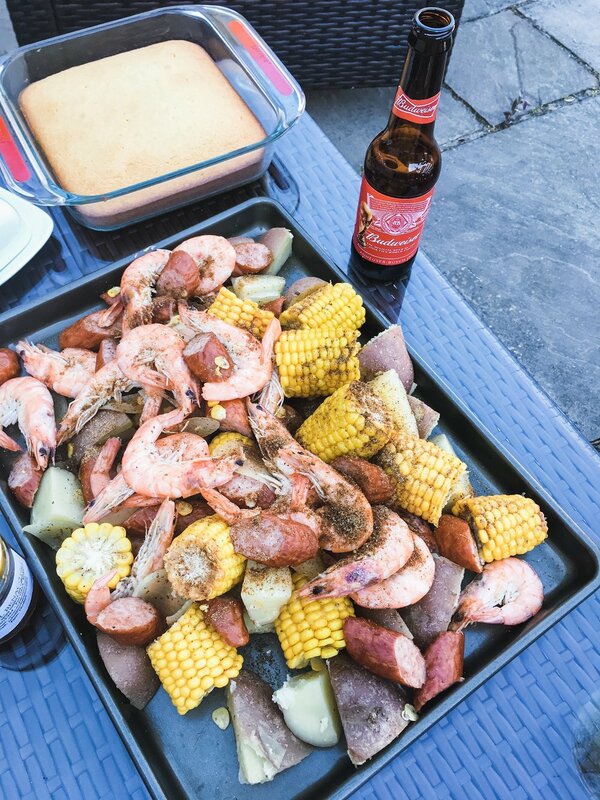 Throw onto a baking pan or cover table with paper and sprinkle shrimp boil across paper. Sprinkle with addtional Old Bay seasoning and have everyone grab what they want and go to town! Serve with cornbread (see additonal recipe).